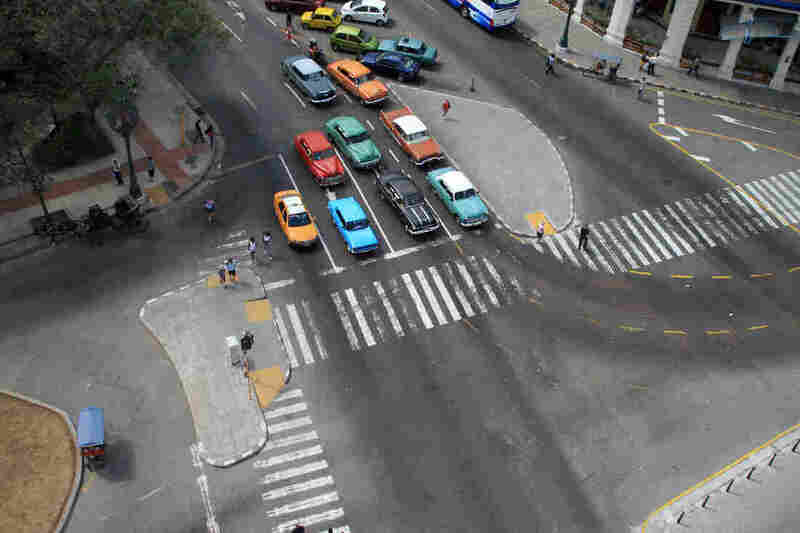 Nostalgic Cars: Sour Automotive Fruit Of Cuban Embargo Gets New Life : The Two-Way In Havana, Cuba, the old cars that crowd the streets used to symbolize a stagnant nation. 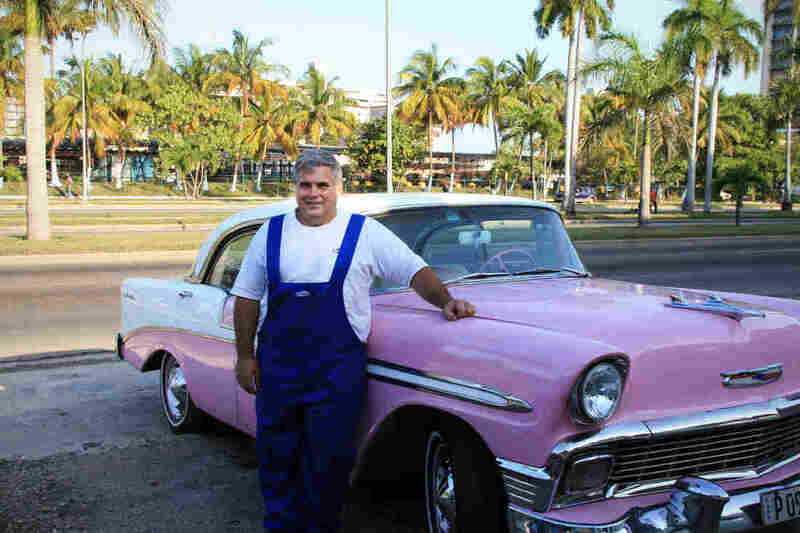 Now enterprising Cubans have begun renting cars out to tourists who are hungry for the cars of their youth. Daily traffic in Havana resembles a vintage car rally, even if it does share the city streets these days Hyundais and Peugeots and rattletrap Russian Ladas. In Havana, Cuba, the old cars that crowd the streets used to symbolize a stagnant nation. 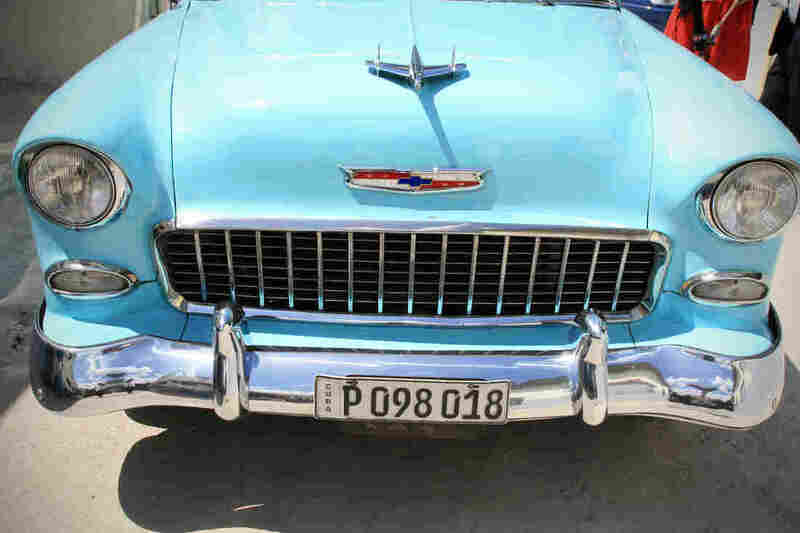 Now enterprising Cubans have begun renting cars out to tourists who are hungry for the cars of their youth. During my reporting trip to Havana, I spoke with Julio Alvarez, the owner of Nostalgicar in Havana. He joked that one thing Cubans should thank Fidel Castro for is all the old, majestic American cars that are now making him money. You can listen to the story using the player above. 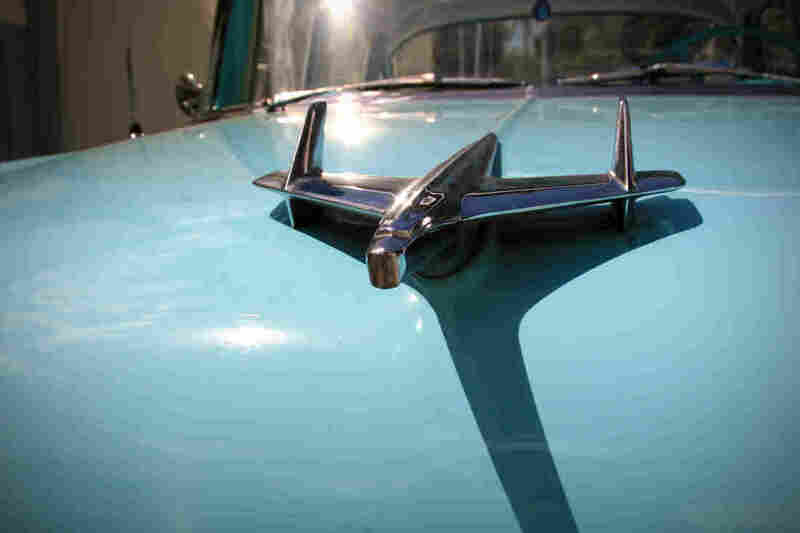 The hood ornament of a 1955 Chevy Belair. 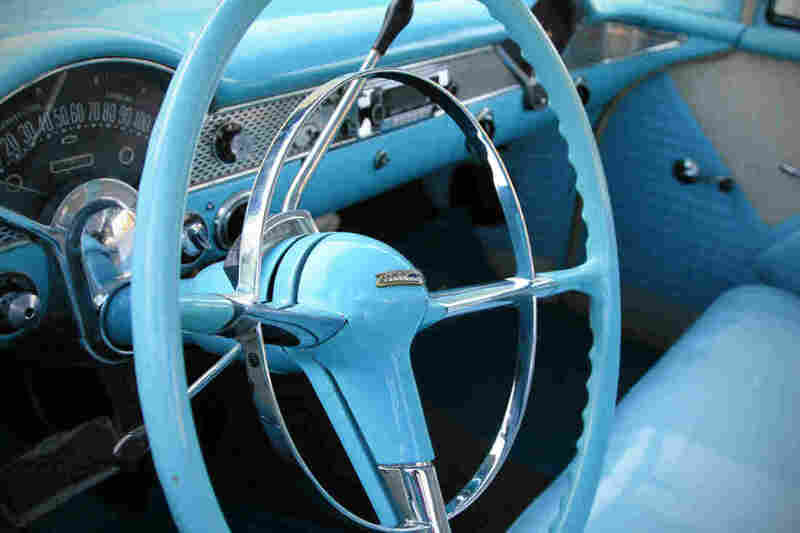 Under new more liberal policies instituted in Cuba the past few years, the owner, Julio Alvarez, started a restoration shop and named the car Nadine. Its baby-pink counterpart is named Lola.